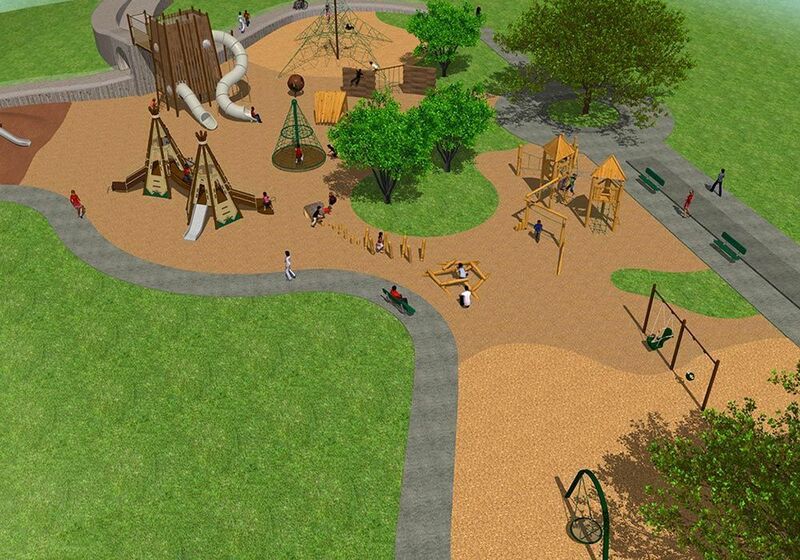 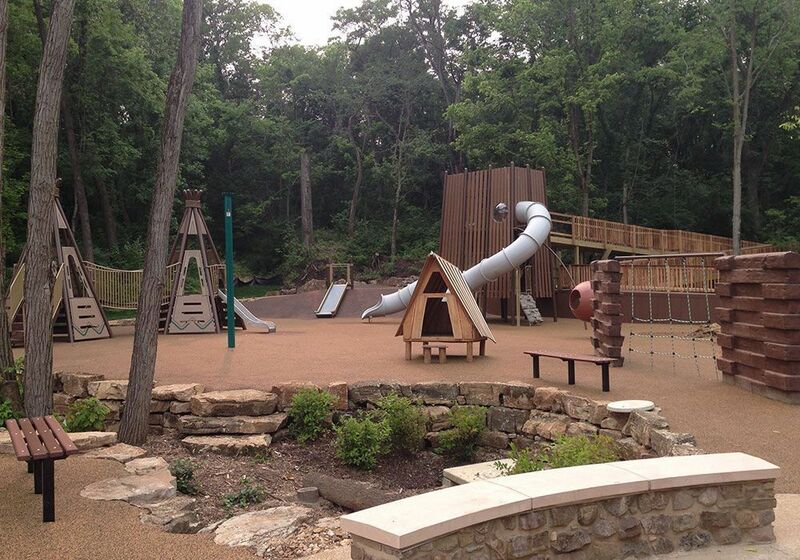 Wildwood Community Park was seeking an inclusive nature-themed playground like no other. 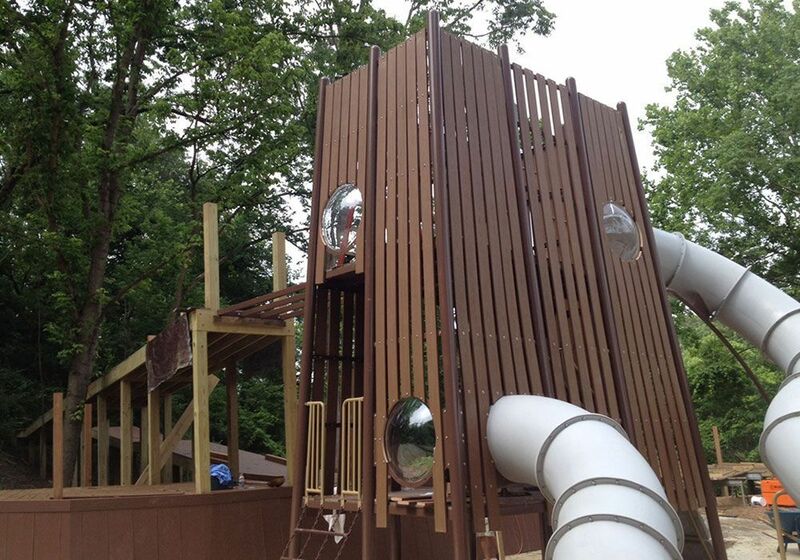 The idea was to have natural play with wood climbing structures, independent play features, and an iconic tower. 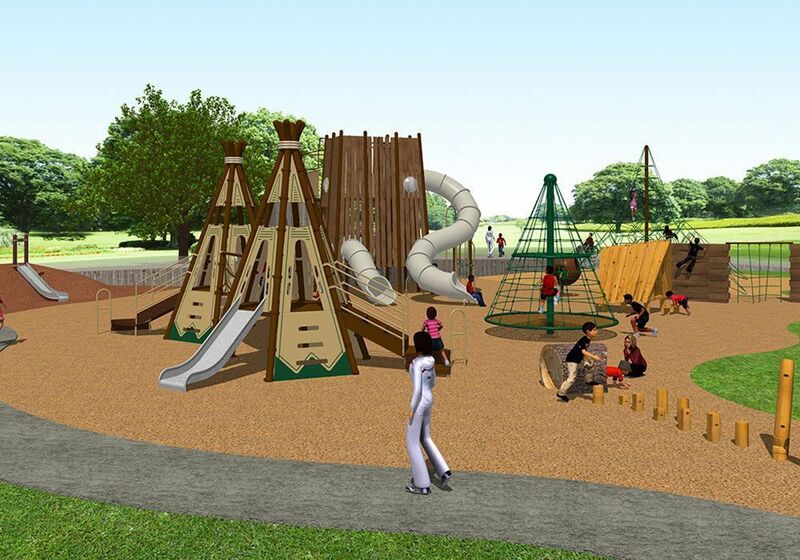 Our representative, Stewart Mackay of All Inclusive Rec worked with the Little Tikes Commercial team of talented designers and engineers to make the vision a reality! 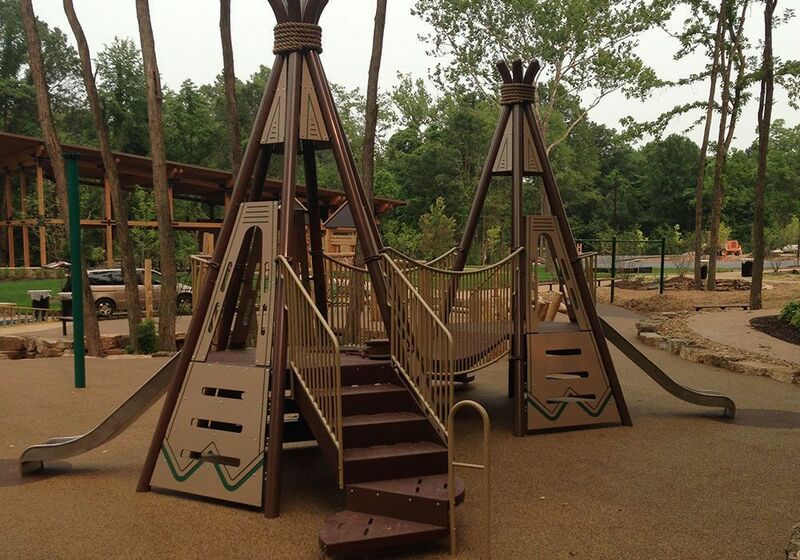 Enveloped by a massive snake walk, you’ll find teepee structures designed for 2-5 year olds, real wood climbing events, a large net climber, NU-edge® stacked timber walls, swings, a roller slide, and central to all of it – a unique tower with slides and look out windows to see all that’s below.